Teacup Shoes is a revolution by a fashion visionary out there, who chose to make a profound difference to the lives of those women with genetically small feet. Many fashion lovers who have a foot size of 4 to 6 (lucky you on this occasion) have a lot to be grateful for, all thanks to one superb woman who gave it her all to step up (sorry, terrible pun) in order to find classy, elegant footwear that fits petite sized feet. 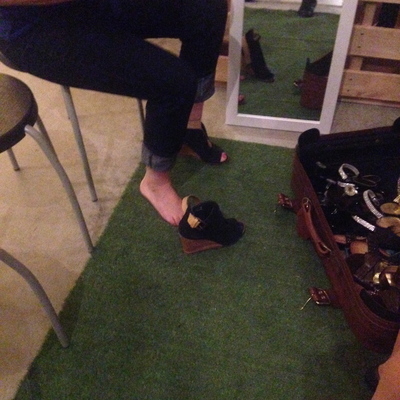 This is how Teacup Shoes was born. 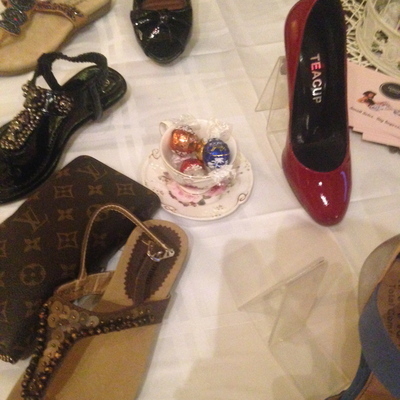 Some more teacup shoes, in a gorgeous tea cup display. 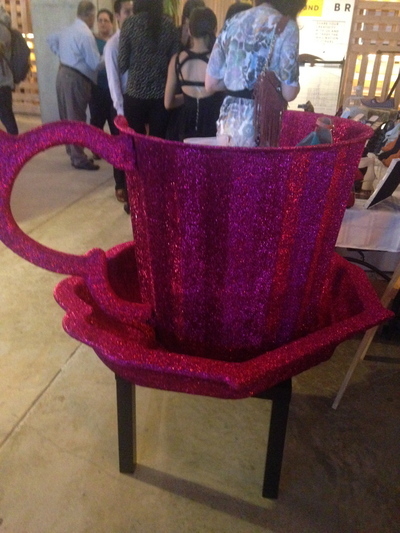 The creator of Teacup Shoes herself, Pradhima Jeyaratnam is not afraid to admit that she is 4 foot 11 inches tall height wise, and in terms of her foot size, she is personally a size 5. That is true...the taller you are, the bigger your foot size. Me, although skinny weight wise, I am about an extra foot taller than her, with a foot size that doubles hers. Therefore (and unfortunately) I cannot be a Teacup Shoes customer, as I am a giant in comparison to Pradhima. This visionary decided to quit her job in faith. From there she headed off to China and made a bold promise to petite western women that she will source the prettiest, petite shoes that any fashion conscious woman can find. Again, large shoes to fill to begin with - pun intended. 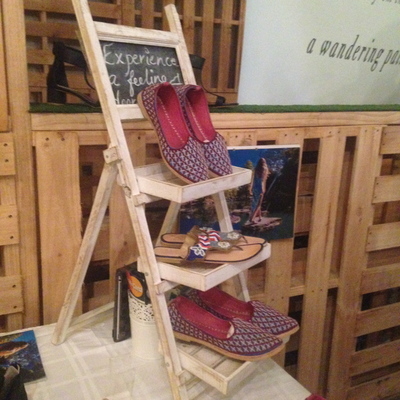 Not an easy task, yet Pradhima fulfilled that vision with Teacup Shoes - a cute and relevant name. These are shoes that money can buy, and if you become a member of Teacup Shoes, you'll receive 15% off your purchases. Pradhima herself mentions that she believes in sole-mates, as well as shoes encompassing the right fit - as well as falling head over heels in love with them. A creative spin on shoes indeed. It's true, small soles can make lasting impressions of mammoth altitudes. Having had a chance to check out the collections recently, a combination of flat and high heels are available for all different occasions. Whether you're after leisure or work shoes, and you have small feet, then you're most welcome to Teacup Shoes. Free shipping is available within Australia, and the blog on the website is also quite useful. Again, if your foot size is anywhere from 4 to 6, the world is your oyster in terms of cool, quality shoes here. 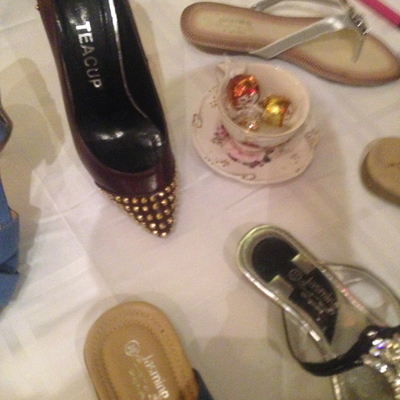 Someone trying a pair of Teacup Shoes on, again at a recent fashion event.